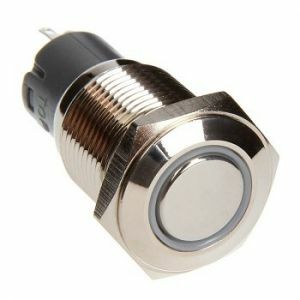 16mm Flush Mount LED Momentary Switch (WHITE) (Sold Each) - Comes pre-wired with voltage regulation resistor. 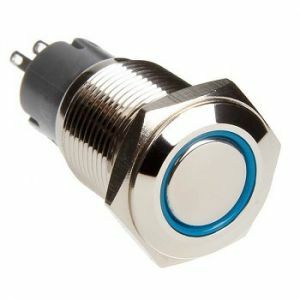 16mm Flush Mount LED Momentary Switch (BLUE) (Sold Each) - Comes pre-wired with voltage regulation resistor. 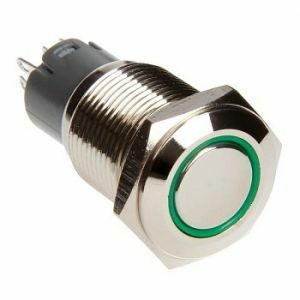 16mm Flush Mount LED Momentary Switch (GREEN) (Sold Each) - Comes pre-wired with voltage regulation resistor. 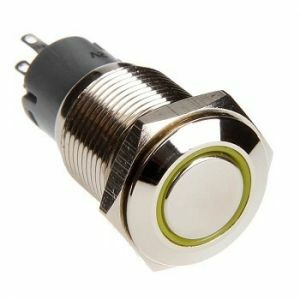 16mm Flush Mount LED Momentary Switch (YELLOW) (Sold Each) - Comes pre-wired with voltage regulation resistor. 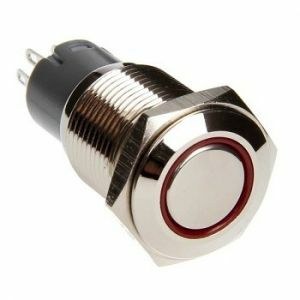 16mm Flush Mount LED Momentary Switch (RED) (Sold Each) - Comes pre-wired with voltage regulation resistor.